Introducing the Rum Runner the modular SUP - as easy as one, two, three! Following the success of Point 65’s modular kayaks comes the modular Stand Up Paddle board (SUP). The Point 65 Rum Runner is an innovative, high-performance, modular, touring SUP with a displacement hull. This making for a fast, stable, straight- tracking board on which to explore and exercise. And the manageable sections are easy to carry and get back home in the back of your car. You can store them under your bed, in a closet or on the balcony of your condo. SUP's with displacement hulls are especially suitable for touring as they are faster, have superior tracking capabilities and handle most paddling conditions a lot better. Whether paddling on flat water, chop or in really wild conditions. Displacement hull SUP's have quickly become the most popular. However, most SUP's in the marketplace (and all inflatable SUP's) feature a flat hull. Flat hulled SUP's are easy to manufacture and are good for riding waves. But not everyone lives in California or on Hawaii… Displacement hull SUP's are higher volume crafts making them heavier hence harder to carry and to roof top. The modular Rum Runner resolves this. The Rum Runners looks are defined by distinct lines making it a fast ride and a head turner – both on and off the water. 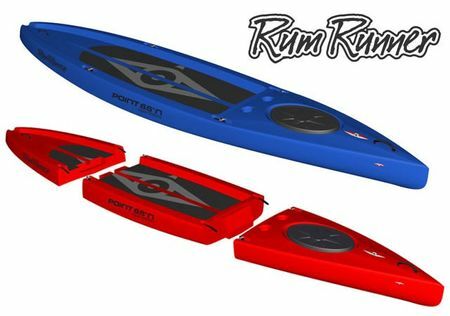 Like the modular kayaks, the Rum Runner features the innovative, patented Snap-Tap system for ultimate usability – both on and off the water. The 381cm / 12.5’ Rum Runner has a carrying capacity of 135kg/300lbs. It easily separates into three manageable sections, each weighing as little as 7kg / 15lbs allowing for easy transport in almost any car. Using the shorter mid-section, your Rum Runner 12.5 is transformed into a 350cm / 11.5’ SUP with a carrying capacity of 120kg / 265lbs for the smaller boarder. Created by Magnus De Brito, the award-winning Swedish design engineer, the Rum Runner is a fun, versatile, high-performance, touring SUP. The Rum Runner is fast and fun, yet comfortably stable and straight tracking. It is a SUP that snaps apart and reassembles in seconds, making it by far the most easy to carry, rigid SUP. The rotomolded polyethylene construction provides a combination of strength and impact resistance that most other materials can’t match. Point 65’s Rum Runner also features lots of dry storage space with a watertight hatch in the front. The Rum Runner is a rigid, high performance, touring SUP that you can lift with a smile on your face, haul in the back of most cars, fit in an elevator and stow under your bed. The deck of the Rum Runner is partly covered with a structured EVA foam padding for paddling comfort and grip. The nose section has two built-in cup holders and sports a large oval hatch for easy loading into the powder dry storage. The deck also features D-rings for installation of the optional Point 65 AIR seat. Whether camping, cruising, fishing, hunting or hauling, anything is possible on the Rum Runner. The Rum Runner also features a fin to optimize tracking. The fin retracts automatically into the hull of the rear section on impact or when beach-landing. 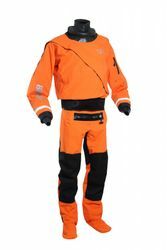 Rating for "Point65 Rum Runner 11,5"